Sometimes transfers just don’t work out. Big clubs have to take the risk of spending money in the window when results aren't going for them. That means panic buys or going after players who have been hyped up. Obviously not every player turns out the way you would expect but there has always been more than one occasion when a club gets is completely wrong with a player. These stars proved their doubters and critics right by being a complete mess at their clubs. Andriy Shevchenko was no doubt a striker with the potential to go down as one of the greatest forwards of all time. The Ukranian was a prodigy at Dynamo Kyiv scoring 60 goals in 117 appearances. He was the kind of player who just knew where the back of the net was. His brilliant performances in Ukraine earned him a move to Italian giants AC Milan where he furthered his reputation. He netted an incredible 127 goals in just 208 appearances. After that, he became Europe’s most wanted in 2006. Newly cash-rich Chelsea brought him in for a whopping 43 million euros a record for the club at the time. But his Blues career did not go according to plan. He only managed 4 goals in 30 league appearances in his debut season, 5 in 17 the next season. He was eventually loaned back to Milan but his career took a turn for the worse after that. 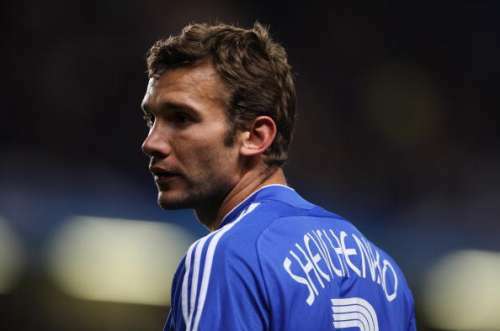 Shevchenko would go down as a player whose potential was wasted and never truly fulfilled.